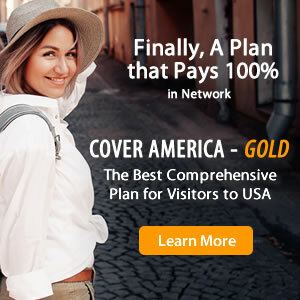 Patriot America and Patriot America Plus visitors insurance plans are both very similar. These policies are good for international travelers visiting the US or other foreign countries outside their home country. Both Patriot America and Patriot America Plus insurance are comprehensive coverage policies, which both cover 100% in network after the deductible. Patriot America insurance and Patriot America Plus insurance are both available to travelers over the age of 80, although their policy maximums are limited to $10,000. These plans can also both be extended up to 2 years. For more information about the differences between Patriot America and Patriot America Plus insurance, refer to the comparison chart below. Does Visitors Insurance Cover Pre-Existing Conditions?